This sweet and savory sauce made with Campbell's® Signature Low Sodium Chicken Premium Culinary Foundation combines peanut butter, coconut milk, ginger and cilantro. cayenne pepper, ground	 0 3/4 tsp. 1. Stir brown sugar, peanut butter, oil, soy sauce, lime juice, garlic, ginger, and cayenne pepper in a saucepan. 2. Cook and stir over medium heat for 15 minutes or until the mixture is thickened. Campbell’s® Signature Low Sodium Chicken Culinary Foundation is the perfect blend of savory chicken stock and rich garden vegetable flavor, making it easy to create flavorful entrees, soups, sauces, and other dishes. It contains no artificial colors, flavors, partially hydrogenated oils or major allergens. 3. Add Campbell's® Signature Low Sodium Chicken Culinary Foundation, water, coconut milk and heavy cream. Bring to a simmer. CCP: Ensure final coook step reaches a minimun internal temperature of 165°F for one minute. CCP: Serve immediately, or hold for hot service at 140°F until served. 4. Portion each serving with a 2 oz ladle (1/4 cup). cayenne pepper	 0 3/4 tsp. 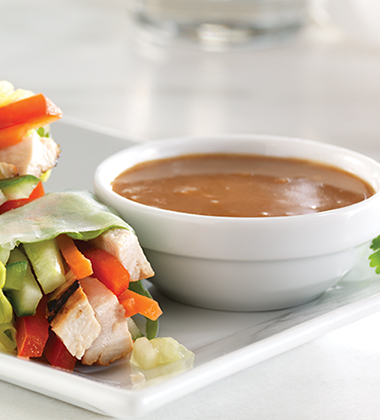 Great as a base for grilled chicken dishes or a dipping sauce for spring rolls. 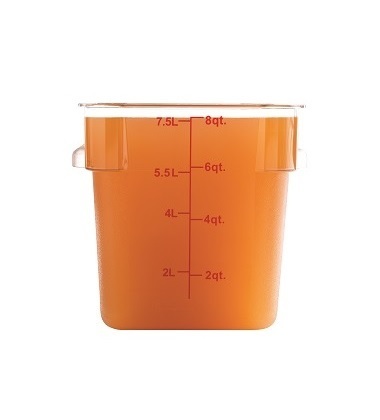 This sauce can be held at 140°F for up to 4 hours until served. This sauce can be made the day before service. On the day of service, reheat the sauce you need to 165°F for 1 minute, within 4 hours.